Call Us at 908-608-1200 to Order! In 1985 a small business man with a big dream opened Zappia’s Delicatessen in Summit. 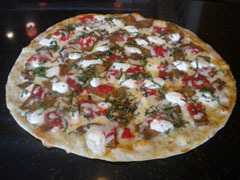 Zappia’s has now become a staple in the community for Summit residents. Now, over two decades later and just four doors down, Nick Zappia and Alex Leontowycz continue a tradition of quality and freshness with the opening of Zappia’s Brick Oven Pizza. With freshly made dough, the finest quality mozzarella and fresh crushed tomatoes, Zappia’s Brick Oven Pizzeria is simply the best around. We know that we are only as good as the last pizza we served which is why we pride ourselves on quality as well as service. Anyone can open a pizzeria; it happens all the time. At Zappia’s our passion and culture are what set us apart for both our crew and our loyal customers. A prime Summit location also makes it a convenient stop for commuters. We are not your typical pizzeria. At Zappia’s the environment is warm and the staff is friendly. We pride ourselves on the ability to cater to our customers’ needs. 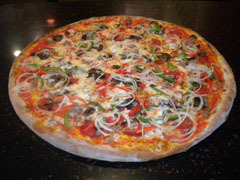 For those who like whole wheat crust, we have it. 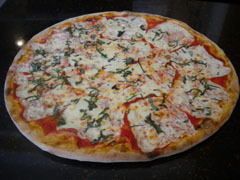 If you are looking for individual slices, we offer it. Where others do not deliver, we do. And, for those, like owner Alex, who need a Gluten-Free product Zappia’s offers a full menu of delicious, gluten-free pizza. So, if you are in the neighborhood, stop in for a slice and we guarantee that you will be back because we stand behind our pizza and guarantee that….”You’ll Fight For the Last Slice”. *Prices based on Large Cheese Pizza. $1.75 per toppings. Must be delivered to school.